Charming hotel in Mühlbach, familiar ambiance as well as dreamlike offer for bike fans, hikers & families. Welcome to Hotel Leitner***S in Mühlbach! 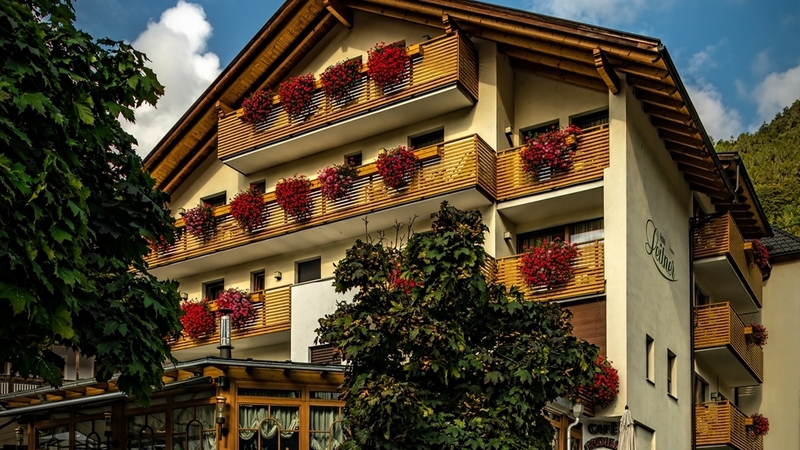 The small, but elegant Hotel Leitner***S is situated in Mühlbach in the heart of Eisacktal in South Tyrol. In our house, you can enjoy relaxing holidays in a dreamlike natural landscape, hearty hospitality as well as the proximity to hiking and cycle paths. You will look forward to a broad activity and cultural offer in the environs and to unforgettable holidays with the entire family. 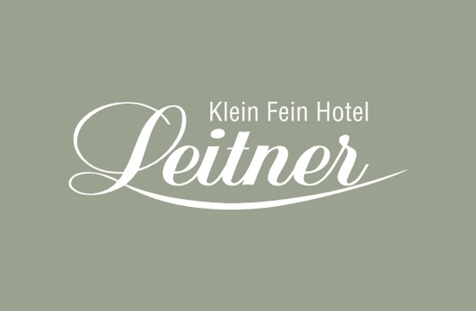 Hotel Leitner offers comfortable and lovingly designed rooms and suites, furnished with a balcony, bathroom with shower and WC, satellite TV, safe, minibar, internet access, phone and alarm clock. A spa basket with sauna towels is available as well. Our spa oasis with indoor pool, various saunas, relaxation area and relax platform is perfect for relaxing moments. At the Vital Spa with tea bar, you can enjoy soothing massages and beauty treatments as well as relaxing moments in our sole and inhalation bath. We also offer massages for children. The culinary offer includes a rich breakfast buffet with South Tyrolean quality products in the morning, daily afternoon snacks with cakes and other delicacies and 4/5-course menus with regional specialities in the evening. In our Café Alte Schmiede with winter garden and sun terrace, you can enjoy homemade ice-cream and sweets. The activity and cultural programme is absolutely varied: A comfortable cable car which is situated next to the hotel brings guest to the ski and outdoor paradise Gitschberg Jochtal. Other first-class skiing arenas such as Mt. Kronplatz and Plose can be reached by car in a few minutes. In summer, hiking and mountain bike tours let you discover the most beautiful mountain huts in Pustertal and in the Dolomites. The hotel also offers the possibility to rent mountain bikes and Nordic walking sticks. The close cities of Bruneck and Brixen are worth a visit at any season. The room is furnished with a desk, shower, toilet, bidet, hair dryer, wellness basket with sauna towels and slippers, telephone, LCD TV, wide band internet connection, safe and mini bar. The room also includes a balcony. In the double room Superior a magical atmosphere reigns. It is ideal for 2 or 3 people and has a comfortable living room corner. It is furnished with desk, shower, toilet, bidet, hair dryer, wellness basket with sauna towels and slippers, telephone, LCD TV, wide band internet connection, safe and mini bar. This magnificent room can accommodate 2 or 3 people and has a comfortable living room corner. It is furnished with desk, shower, toilet, bidet, hair dryer, wellness basket with sauna towels and slippers, telephone, LCD TV, wide band internet connection, safe and mini bar. A small family of up to 4 people can stay in complete comfort in our Family Suite that has a living room corner with typical stube, balcony, desk, shower, toilet, bidet, hair dryer, wellness basket with sauna towels and slippers, telephone, LCD TV, wide band internet connection, safe and mini bar. A luxurious suite on two floors with bedroom, bedroom for children, living room, balcony, desk, shower, toilet, bidet, hair dryer, wellness basket with sauna towels and slippers, telephone, LCD TV, wide band internet connection, safe and mini bar. It is a luxurious suite on two floors with a splendid living room corner, characteristic stube, balcony, desk, large walk-in closet, shower, toilet, bidet, hair dryer, wellness basket with sauna towels and slippers, telephone, LCD TV, wide band internet connection, safe and mini bar.